When it's handmade you know there are no nasty things involved! And I think it is possibly the most purest, sincere and unadulterated form of 'love'. 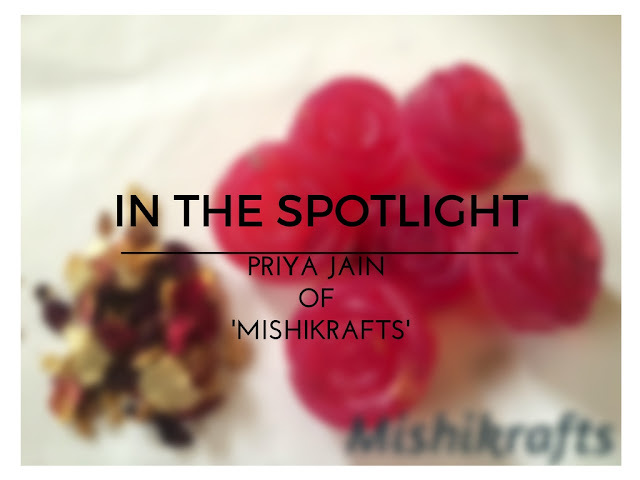 Today, we have Ms Priya Jain in the spotlight of 'Mishikrafts' who was kind of enough to take time out of her busy schedule and answer some questions. 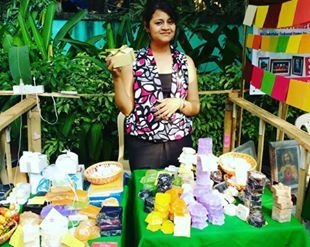 Read about her and her brand 'Mishikrafts' which is handcrafts delicious chocolates and personal care products. Q: You have a unique brand name. How was the name 'Mishikrafts' conceived, and what inspired you to come up with a brand of your own? A: Mishikrafts was really a hobby project till my little niece came along. She had exceptionally dry skin and I was looking for solutions when I first made the milk and vanilla soap for her. 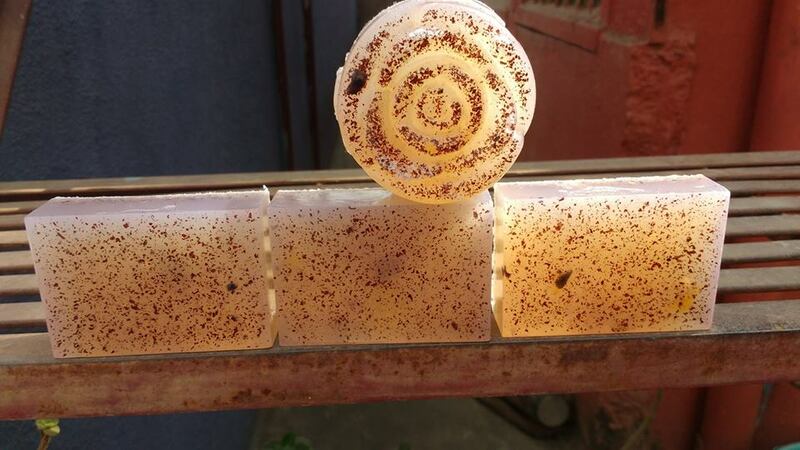 The soap worked its magic and that is when I even started to look at it with any potential. She is my reason for starting the business and remains my quality check. At the core of our products is the value that, if I won't give it to Mishika, I won't give it to anyone else. I wanted to do a lot more craft related work when we named the business, hence the name, Mishikrafts. Q: Tell us more about yourself. What do you do besides running Mishikrafts? A: I used to be a journalist. I quit my job around two years ago to get into Mishikrafts full time. Since then, it has been a roller coaster ride. Running a business means micromanaging at multiple levels. Sometimes there isn't time for anything else. I love to travel, so whenever I can get away for a couple of weeks, I take off. I am constantly obsessing over new businesses to start, new solutions to provide. Reading, trying other DIY stuff and cooking are a few hobbies. Q: We see you make chocolates too alongside personal care products. How are your chocolates different from the rest? A: For starters, everything is handmade. We are suckers for quality and customized products. We sit down with each client through a personal meeting, or through chat, figure exactly what they want and give them a very personalised gift for all occasions. We have some exotic combinations that the big brands don't make. Our baileys, black currant, lemon chocolates are extremely popular. We once made tamarind chocolates on demand! Q: Did you receive any formal training in soap making and chocolate making? A: I attended workshops for both chocolate and soap making. These were short workshops for a day or two and then on, it was a whole lot of experiments before we got where we are today. Q: How would you define your brand’s philosophy in a few words? A: Keep it simple, keep it clean, keep it unique. Whatever I won't give my child (in this case Mishika), I won't give anyone else. Q: What are your favourite ingredients to work with, in terms of both personal care products and chocolates? 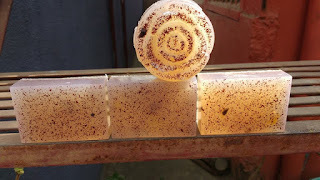 A: Soaps- most natural ingredients- be it freshly ground orange peel, haldi from my kitchen, ground coconut, papaya squash, I love knowing we are using a lot of edible material in our products. 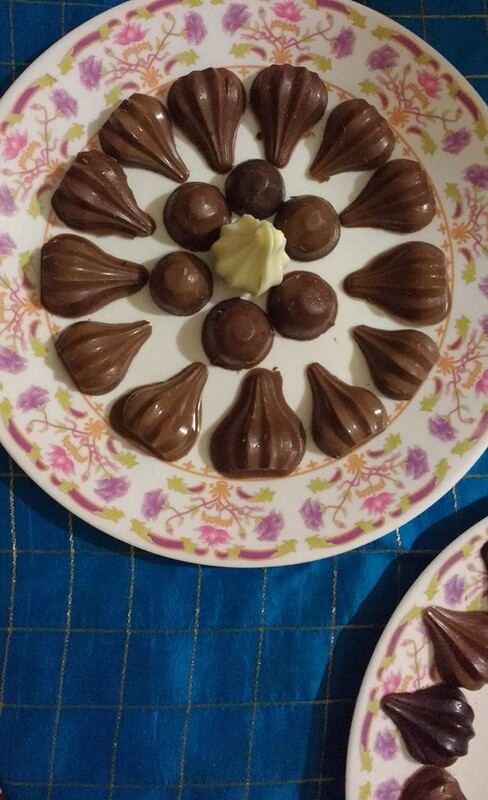 Chocolates- I love experimenting with chocolate, various fillings, something unique, different shapes, being able to cater to someone's romance/love/affection/ thought. Q: Do you remember your first experience of making any product. Any interesting story that you'd like to share? A: Mishika was two months old when we tried the milk soap on her. Needless to say, I was very worried. It was a lot of faith and prayers, but when it worked, I knew it was nothing short of magical. Q: What should people bear in mind while buying natural/organic products? A: Read the tags very carefully. People use both words organic and natural very loosely. There is a lot of jargon that gets thrown around in the beauty business, one has to be discerning. Watch out for fillers. Q:. Where do you see your brand in next five years? A: I hope to become the most convenient lifestyle solution. Everything else that happens will happen under brand Mishikrafts. I am looking at starting a convenient supply chain for fellow soap makers, chocolatiers and hobbyists. Also working on an easy to work model for workshops and classes for those interested in learning. A lot more will happen. Looking at an inroad into apparels as well. Core of the entire thing will be promotion of handmade products, at costs that can compete with large scale industry. I dig their chocolates. Their plain dark chocolate and roasted almond dark chocolate are to die for. Read my thoughts HERE about the chocolates. As for soaps, their chocolate vanilla variant is great. I hope that you enjoyed reading the interview. If you did then do leave us feedback below. And if you wish to get featured on our blog, drop us an email.